Over the years we’ve gained a huge number of techniques and strategies that have helped make our sliding door repairs more efficient and long lasting for our clients. 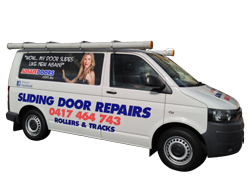 Below are some of our sliding door repair videos outlining how we conduct our business. Click play on any of the videos below to view each of the videos. Some are of the sliding door videos are techniques while others are testimonials. And of course, here is our main video, which highlights fixing a door from start to finish. You can see this is one of the most popular sliding door repair videos on YouTube with over 100,000 views. We do have a few other sliding door repair videos and you are welcome to visit our YouTube channel for more. Click here to go to our YouTube Channel. If you would like to see other styles of videos or other training techniques, then contact us here and let us know. To read about our client testimonials, click here.